 Objectives This study aimed to evaluate occupational exposures and menstrual cycle characteristics among nurses. Methods Using cross-sectional data collected in 2010–2012 from 6309 nurses aged 21–45 years, we investigated nurses’ menstrual function in the Nurses’ Health Study 3. We used multivariable regression modeling to analyze the associations between occupational exposures and prevalence of irregular cycles and long and short cycle lengths. Results The cohort reported cycle length as <21 (1.5%), 21–25 (15.6%), 26–31 (69.7%), and 32–50 (13.2%) days. In addition, 19% of participants reported irregular cycles. Working ≥41 hours/week was associated with a 16% [95% confidence interval (95% CI): 4–29%] higher prevalence of irregular cycles and a higher prevalence of very short (<21-day) cycles [prevalence odds ratio (OR) 1.93, 95% CI 1.24–3.01] in adjusted models. Irregular menstrual cycles were more prevalent among women working nights only (32% higher; 95% CI 15–51%) or rotating nights (27% higher, 95% CI 10–47%), and was associated with the number of night shifts per month (P for trend <0.0001). Rotating night schedule was associated with long (32–50 day) cycles (OR 1.28, 95% CI 1.03–1.61). Heavy lifting was associated with a higher prevalence of irregular cycles (34% higher), and the prevalence of cycles <21 days and 21–25 day cycles increased with increasing heavy lifting at work (P for trend <0.02 for each endpoint). Conclusion Night work, long hours, and physically demanding work might relate to menstrual disturbances.